I remember it as it was yesterday. I was living in Beeston, in Uni accomodation. It was exam season in the University of Nottingham and while reading papers and making notes for a Soil Chemistry final, a very familiar voice on the radio sung a happy song. I wasn’t reading music news as much as now back then, and there was no Youtube (believe it! ), so even if I knew it was coming, it was my first time listening to Zwan, the short lived project that Billy Corgan had after The Smashing Pumpkins had lost the fight against the Britneys of the world. The song was upbeat and happy and I relished any time it was being played. I was saying the proverbial “Radio, play my favourite song”, waiting for that ditty to lift the spirits. 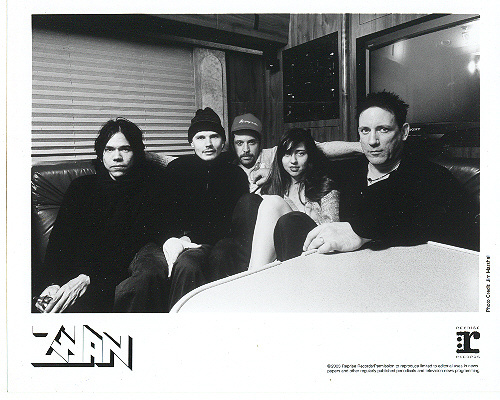 With Mad Season and Audioslave, Zwan is one of the few supergroups that my generation (Gen X!) had the pleasure to experience. It was a strange dream, like watching Marvel and DC superheroes meeting up. 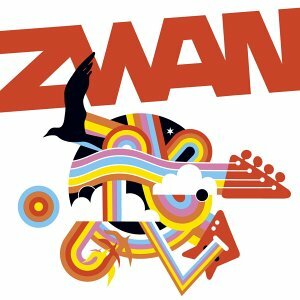 Zwan had Matt Sweeney (Chavez), David Pajo (Slint), Paz Lenchantin (several guest appearances in QOTSA, Trust Company and A Perfect Circle) and of course, Jimmy Chamberlin and Billy Corgan of the then bereft-of-life Smashing Pumpkins. We had a “music library” sort of thing at the University of Nottingham, where you could rent an album for a week for 50 p. The guys who worked there were keen on me (I was a regular renter) and they sort of saved me the copy so I could listen to it, religiously, while revising. I gotta be honest, it was a strange experience to hear Billy Corgan making happy music, but I for one relished on it. Then it happened. A backlash. From the least expected source. All my friends back in México who were fans of The Smashing Pumpkins were not happy with the album. The concensus was that it was “too happy”. Buncha spoilsports. I then started reading some of the professional reviews. E! Online, Entertainment Weekly and Uncut were quite satisfied with it, Pitchfork panned it (quelle surprise). Sales were lukewarm, around 90, 000 on the first week of release (compared to 165,000 for MACHINA/The Machines of God‘s first week). Me? I liked it. Completely. From the very peppy intro of ‘Lyric’, you know the mood is a 70s sunshine vibe, like a roadtrip from San Diego to Big Sur. ‘Settle Down’ was intricate pop, again, very 70s, with a lot of mood and pace changes, something that this quintet of musicians were more than able to pull off. ‘Declaration of Faith’ was probably a lost throwback to Machina (think ‘Wound’ or ‘This time’) and ‘Honestly’ is one of the sweetest songs to come out of Mr. Corgan‘s mighty pen. A friend of mine once told me that her favourite albums always had a “trilogy” in them. A trifecta of catchy songs that left a mark on her. I found my trilogy in ‘El Sol’, ‘Of a broken heart’ and ‘Ride a black swan’. ‘El Sol’ might border into mushiness, but we all need that lovey dovey ditty, y’know? ‘Of a broken heart’ is a sobering reminder that things don’t always go well and ‘Ride a black swan’ it’s such a well crafted song, with that “dah-dah-DUM!” arrangement that decides to reside forever in your ears. I’m probably overhyping this album. I do it because I still think it’s a beauty. The strings in ‘Heartsong’ are quite lush, the guitar work in ‘Endless Summer’ is great and the sudden change of mood, via ‘Baby let’s rock!’, ‘Yeah!’ and ‘Desire’, is just your warm up to the psychedelic pop monster that is ‘Jesus I/Mary Star of the Sea’. A 14 minute monster, it slowly builds by droning, then goes into a few guitar breakdowns that are ambrosia for the guitar enthusiast. An absolute gem and if you like grandiose songs, this will be the meat in the bone. ‘Come with me’ might be a bit of a letdown after the previous track, but it’s also a nice digestif; a strong mint to wash away the rich flavours explored in Mary Star of the Sea. Now, with all these good vibes, you’d expect the band was getting along quite swell and the output would continue. Reality is a harsh mistress and by the end of their tour, the band was no more. A lot of versions popped up over the years, none of them reflecting the optimistic, free roaming atmosphere that Zwan weaved in this album. I’d like to say that this album is where Zwan‘s legacy finished, but over the years, bits and bobs have surfaced and been traded by the fans. There’s a Glass House set from 2001 which is quite good (and free!) and sports a couple of tracks that didn’t make it to the album. Then there’s the Djali Zwan soundtrack for the film Spun, which is more folk-oriented. You can get that one from ThePumpkins.net. Heck, you can get a plethora of unreleased tracks from Archive.org, just click here and peruse. Me? I personally love two unreleased tracks. One is called ‘Riverview’ and the creepy atmosphere is simply amazing, with Chamberlin‘s drumming slowly painting a landscape, while Paz Lechantin‘s bass adds some earth-like brushstrokes that give depth. ‘Spilled Milk’ is simply fantastic; Zwan catches fire and rises above the clouds, shining as bright as a Supernova. It’s the heaviest track that Zwan made and it’s such an experience. This set was recorded at the Maida Vale Studios and you can get it here. The tragedy in the history of Zwan is akin to the story of a pair of star crossed lovers. There was potential to create one of the finest groups in rock history, but it just didn’t happen. And just like a relationship with a potential to be the greatest declaration of love, only to fizzle out bitterly, so did Zwan. Time heals all wounds and what seemed like a disaster seems to be not that bad, where the good moments coexist with the bad. Zwan seems to be divisive in fan groups, so I gotta admit I’m a big fan of this. With the current re-releasing of material by Billy Corgan, maybe this era can be revisited and a couple of tracks can see the light of the day? Like I say: time heals all wounds. Even if nothing is ever released, this album and the plethora of free recordings left a good aftertaste in my music-loving senses. Posted in Angry music, Apocalyptic stuff, Columns, Looking back at, rant, reviewsTagged Billy Corgan, David Pajo, Djali Zwan, Jimmy Chamberlin, looking back at, Mary Star of the Sea, Matt Sweeney, Paz Lechantin, Spilled Milk, ZwanBookmark the permalink. I couldn’t agree more. I loved Zwan, happy or no. I hope we do see some re-releases. Aye! Really want to listen to everything!